Kyla Pratt Married Husband Danny "KP" Kilpatrick; Know About their Children. 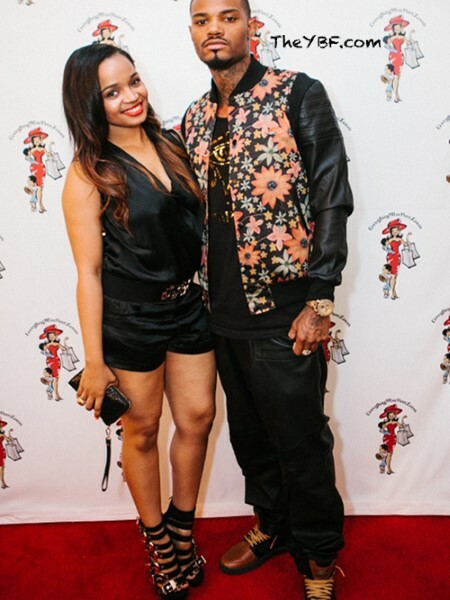 Home Article Kyla Pratt Married Husband Danny "KP" Kilpatrick; Know about their children. Kyla Pratt is an American actress, who is most notably known for her role in Disney Channel series called The Proud Family and One on One. She has been in two serious relationships prior to getting married to her current husband Danny Kirkpatrick. Kyla and Danny both got engaged in 2011 after dating for 5 years. Kyla was born in Los Angeles, California to Kecia Pratt-McCullar, a school teacher and Johnny McCular who was a semi-professional basketball player. Kyla began her acting career at the age of 8 when she appeared on Interactive Computer Game and Nike. Kyla has been in a string of serious relationship in her past. She first eloped with her co-star in the TV series One on One's Robert Richards. They dated from June 2003 to July 2004. Robert is also an American Actor. After her breakup with Robert, she dated American R&B singer Omari Ishmael Grandberry. They dated from August 2004 to May 2005. It was also said that the couple lived together for two years. But for Kyla, the relationship was still wasn't the one she was hoping for and they both broke up after one year of dating. In October 2005, she was seen with American rapper Danny Kirkpatrick and the couple confirmed that they both are dating each other. They tied the knot the very same year in 2005. The couple has been stuck with each other ever since. Danny used to be a dancer in a nightclub and after his relationship with Kyla was confirmed he was in the headlines of the media because it was said that Danny is a strip dancer in a nightclub. But Kyla tackled the question with ease stating, “Yes, he was a competitive dancer at one time, but he was not a stripper. Of course, he takes his shirt off, he has a nice body. We call him KP". They have two beautiful daughters between them, named Lyric Kai Kirkpatrick born November 17, 2010, and Liyah Kirkpatrick born August 5, 2013. Kyla was in the news because she hid her pregnancy to the public. She said that she does not want to face the negativity that comes when one is pregnant. Kyla regularly posts a picture of her family on Instagram and it really shows their love for each other. The couple is happy in their own world of happiness and after welcoming the birth of their second daughter they are happy than ever. We wish them success in their marriage life. She was born on 16th September 1986 in Los Angeles, California. She rose to fame with roles on Dr. Dolittle and The Proud Family. Her acting career began with a series of commercials for Nike when she was just eight years old. She did the cover for the song 'Circle of Life'. She starred alongside Ray J in the UPN series One on from 2001 to 2006.